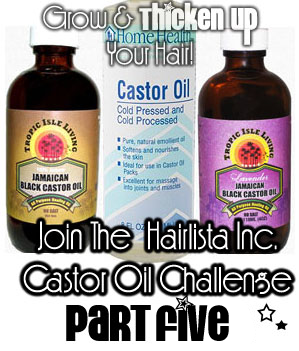 Castor Oil Challenge Part 5 - HAS BEGUN!! - Hairlicious Inc. Lets get ready to ruuumble!! Good luck, everyone. lol @ me being a day late. Hello..what does the extreme level consist of? I'm there! It's winter time so why not? I'm gonna get my bottle next week so I'll be late but I'll make up the time on the other end. what does the extreme level consist of? I've been consistent on the challenge even when the hairlista challenge was on break so this is a piece of cake, as long as I've got money to buy JB. Good luck ladies, we will have the thickness we desire!